HomedigestFermi paradox resolved: near-universal early extinction? Fermi paradox resolved: near-universal early extinction? The famous Fermi paradox raises the question: why haven’t we detected signs of alien life, despite high estimates of probability, such as observations of planets in the “habitable zone” around a Sun-like star by the Kepler telescope and calculations of hundreds of billions of Earth-like planets in our galaxy that might support life. 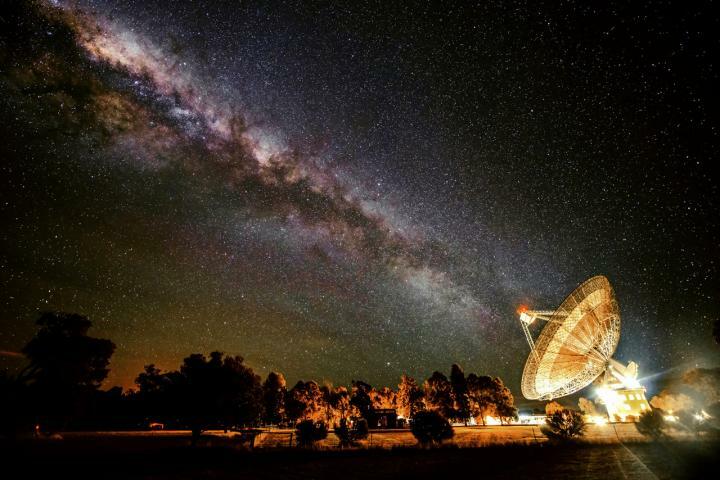 Now astrobiologists from Australian National University (ANU) Research School of Earth Sciences say they have the best answer: Because life on other planets would likely be brief and would become extinct very quickly from runaway heating or cooling. For example, about four billion years ago Earth, Venus and Mars may have all been habitable. However, a billion years or so after formation, Venus turned into a hothouse and Mars froze into an icebox, the authors explain. Early microbial life on Venus and Mars, if there was any, failed to stabilize the rapidly changing environment, while life on Earth probably played a leading role in stabilizing the planet’s climate. The authors name this near-universal early extinction the “Gaian Bottleneck,” which also leads to the prediction that the vast majority of fossils in the universe (found in future meteorites, for example) will be from extinct microbial life, not from multicellular species such as dinosaurs or humanoids that take billions of years to evolve. So far, that’s the case. The prerequisites and ingredients for life seem to be abundantly available in the Universe. However, the Universe does not seem to be teeming with life. The most common explanation for this is a low probability for the emergence of life (an emergence bottleneck), notionally due to the intricacies of the molecular recipe. Here, we present an alternative Gaian bottleneck explanation: If life emerges on a planet, it only rarely evolves quickly enough to regulate greenhouse gases and albedo, thereby maintaining surface temperatures compatible with liquid water and habitability. Such a Gaian bottleneck suggests that (i) extinction is the cosmic default for most life that has ever emerged on the surfaces of wet rocky planets in the Universe and (ii) rocky planets need to be inhabited to remain habitable. In the Gaian bottleneck model, the maintenance of planetary habitability is a property more associated with an unusually rapid evolution of biological regulation of surface volatiles than with the luminosity and distance to the host star. Key Words: Life—Habitability—Gaia—Abiogenesis habitable zone (AHZ)—Circumstellar habitable zone (CHZ). Astrobiology 16, 7–22.